We agree with Neil Diamond: Sometimes all you need is a cracklin’ Rosie to make you happy! 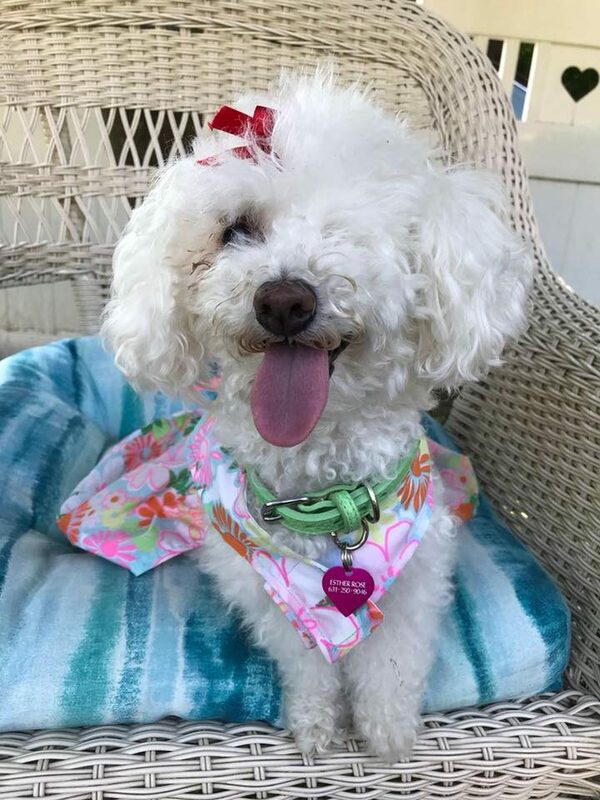 That’s why are so excited to update you on sweet Rosie, a wonderful who was rescued from a hoarding situation way back in 2016. 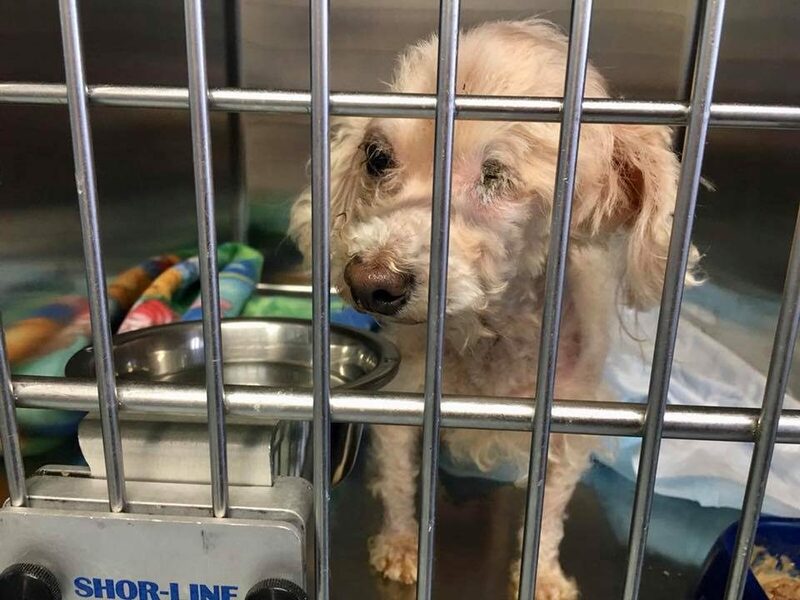 Unfortunately, Rosie was one of the most neglected dogs in the bunch, with multiple infections and an eye that was completely rotten by the time we came on the scene. You’d think the universe would have thrown our little fluff ball a bone, so to speak, but instead, the hits just kept on coming. After months of health issues relating to her past life, Rosie was physically healthy, but then the emotional scars started showing. She became afraid and aggressive toward strangers. (It’s no wonder, given where she came from!) But we rallied and she rallied and, together with her rockstar foster family, we were able to help her feel more comfortable. But then she went blind in her remaining eye, so we had to start from square one. After two years and one more bump in the road (a hernia), Rosie was finally ready for adoption. But she didn’t need to go far! Remember her rockstar foster family? Well, they’re now rockstar foster failures. 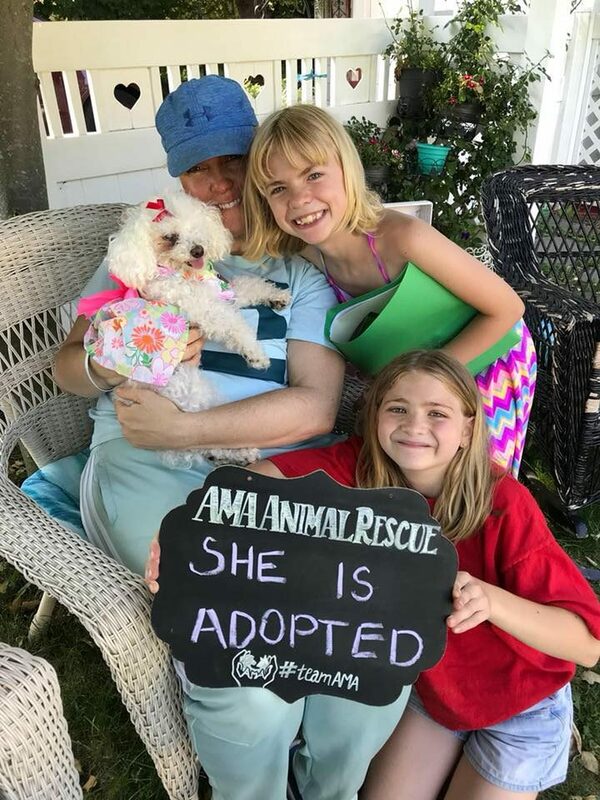 That’s right—they decided to make Rosie a permanent part of their family! 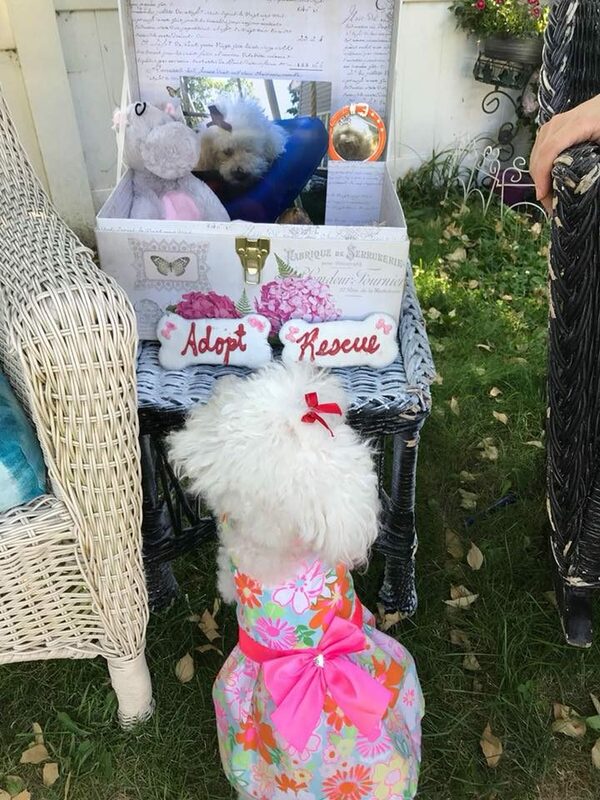 They say they knew Rosie was one of theirs the moment she put her paw in their door, but after years of helping her regain her health, the bond was even stronger. We can’t imagine a better home for our cracklin’ Rosie, and we are floored once again by the generosity of our foster volunteers. Happy tails, Rosie—from all of us at AMA (and from Neil, obviously :)).